The village of Willington in Derbyshire lies on the North bank of the River Trent, some seven miles to the south of Derby and five miles north of Burton. The history of education in Willington dates back to 1714, when John Allsopp left the income from land in Lincolnshire to the children of Willington, Findern and Stenson. The legacy left in his will paid for a schoolmaster in Findern to teach the poor children of the two villages and still provides money for children from the village for educational purposes. The earliest record of schooling in Willington is in 1824 when Mrs Spilsbury, wife of the vicar, ran a small Subscription Day School for girls and a Sunday School. There are also records of a Sunday School in Bargate Lane at a similar time. In 1831 Rev. Spilsbury set up, at his own expense, a school in Willington and the first mistress was Ellen Backhouse. Following Forster's Education Act 1870 the school by the canal bridge on Castleway was built in 1871 on land given by Rev. William Findley, the then vicar of Willington. 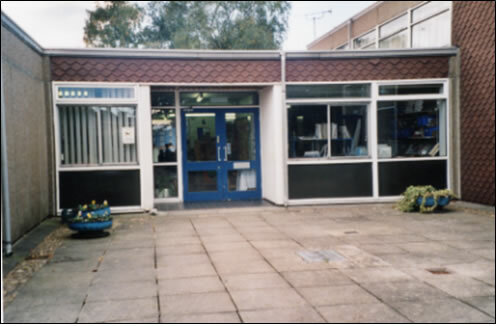 It was built at a cost of £280, paid for by subscription under a Charitable Trust and was built to hold seventy pupils. The school logbooks fortunately are beautifully maintained and at the time of the first entry in 1877 the Headmistress was Elizabeth Watkins and there were 86 pupils. There was also a small school held in the Baptist Chapel on Twyford Road, earliest records of which date back to 1881and it was known locally as the 'Penny School'. The new infant's classroom was added to the school 1894, with the date recorded on a carved stone on the building. The First World War had a massive impact on everyday life in Great Britain and life at Willington School was naturally affected too. The first direct result of the war was that Mr Mann, the Headmaster was called up to join his regiment, the Sixth North Staffordshire Regiment. Miss Daisy Keeley became Headmistress for the duration of the war. The Government Inspector's report in 1915 shows that she was an excellent teacher: - "The temporary mistress deserves credit for the way in which she has attacked the work of the school and for the enterprise she has shown in introducing changes to stimulate the mental activity of the children." At the end of the war Mr Mann returned to his position as headmaster after over 4 years in the army. The school was closed on 30th June for the peace celebrations. 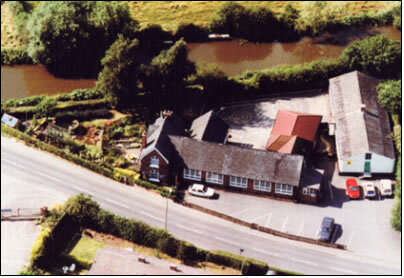 In 1932, due to difficulties in raising the funds necessary to meet new Derbyshire Education Authority requirements, the school board, after consultation with the church decided to transfer the school to the Local Council under a 99-year lease. Just prior to the transfer the Headmaster Mr Mann retired after 31 years of service to the community, and the Mr Raymond B. D. Brealey was appointed as the mew Headmaster in 1933. In the mid 1930s much work was carried out to the physical condition of the building; this included a basic electric lighting system, a new heating system, a veranda and toilets. The Second World War soon brought the first evacuees who arrived by train within days of the outbreak of war. The school rapidly became overcrowded, with 119 children in three rooms and just three teachers. 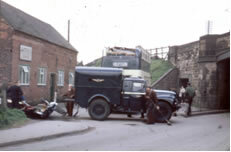 By September 1940 more children began to arrive from Birmingham and arrangements were then made to educate the evacuees in the Co-op Hall in the village and it was not until November 1941 that the evacuees and the local children were educated together, the older children being at the Co-op Hall and the younger ones remaining at the school. It was during these war years that the first school dinners were introduced at Willington School, in April 1944, at the cost of 4d per child. On the first day over 50 children stayed for dinner. The school was closed on 8th and 9th May to celebrate Victory in Europe. A party was held in the village, a piano was played on the village green and trestle tables set up on Twyford Road to allow everyone to celebrate together. It was not until 27th June 1945 that the last evacuees left Willington to return to London by train. There were still 141 Willington children and the three classrooms were far too overcrowded so the older children continued to be taught at the Co-op, until eventually in May 1947 two "new temporary huts" were built on the school playground, these are known as HORSA huts due to their method of construction and are still in use today! 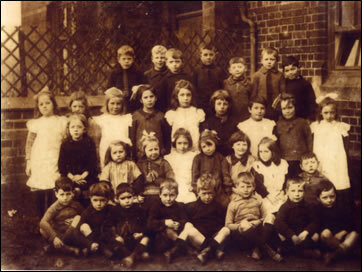 The majority of village children started and completed their education in Willington until after the Second World War. In 1944 the first 'Eleven Plus examination' took place, the few who passed went to Bemrose Grammar School in Derby. After the crash on Twyford Road. In 1962 Mrs Brealey who throughout the war years had taught the infants retired after 21 years service to the school. The following year, with 150 children on the roll call, it became necessary to erect a prefabricated building in the caretaker's garden and this became Miss Bird's classroom for the next 8 years. In January 1965 the first Deputy Head teacher was appointed, Mrs Joan Taylor, who was also the new reception teacher. In Sept 1965 Mr Brealey retired after 32 years, service to the school and he was presented with a transistor radio and a cheque by two pupils at a ceremony attended by many local people. The new Headmaster was Mr Ian Ross Harpur; who started work on 1st September 1965. Mr Ross was to gradually introduce many changes at the school; these included the first colour photographs taken of the children, visits by Mr and Mrs Keeling with their animals and 1965 also saw the first recorded visit with the children to Twycross Zoo. Mr Ross also introduced the idea of the Christmas Nativity play held in the church. May 1968 sees the largest single entry in the school logbooks! It records the children's bus crashing into the bridge on Twyford Road on the return journey from a sports session on the playing fields. Fortunately no one was seriously hurt. By the mid 1960's the John Allsopp money was being used to fund school prizes and the recipients are recorded in the logbooks. 188 children on the roll call. Mr Ross was to retire in December 1985 on the day which included the children's Nativity play in the village church and he records this day in his final entry in the logbook as follows: - "It was just by happy chance that my career finished in the church, because today I retire from teaching and the Headship here after 20 very happy and fulfilling years at Willington School." He moved to Dornoch in Scotland and enjoyed a happy retirement until his death there in 2007. He is still much missed by many in the village. Produced for Willington History Group.